The job titles of counselor and clinical psychologist may seem to indicate professions that are very similar. After all, both involve engaging with people through psychology and helping them solve problems. However, there are a number of differences between the two that might affect which career path a person chooses. In general, clinical psychologists tend to work with patients who have more severe mental illnesses. A counselor might work with patients who do not have a diagnosed mental illness at all but might be struggling with typical life stresses revolving around school, family or work. Clinical psychologists have increasingly taken over the treatment of some mental illnesses that were originally largely treated by psychiatrists, such as bipolar disorder, post-traumatic stress disorder and schizophrenia. A counselor might be more focused on general wellness than on treating a specific pathology. Counselors usually have a master’s degree although according to the U.S. Bureau of Labor Statistics, a bachelor’s degree might be sufficient for some types of counselors. A clinical psychologist must have a doctorate degree. Both are required to participate in internships as part of their training, and there may be continuing education requirements for clinical psychologists. Licensing requirements for each profession differ from state to state. As part of a doctoral program, clinical psychologists have generally conducted research that forms the basis of a dissertation. This may not be required for counselors in a masters-level program. 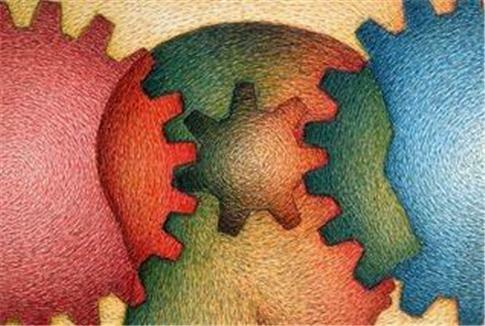 While the theory and research areas in these fields overlap, counselors tend to focus more on theory and techniques that are client-centered and involve behavioral modification while clinical psychologists work in a vein that is more focused on psychoanalytic solutions. Clinical psychologists may also be more likely to work with people who have such issues as traumatic brain injury or developmental delays. Cognitive behavioral therapy is a typical approach to treating a patient for counselors while a clinical psychologist might focus more on what is known as psychodynamics, or looking at the larger systems of human emotions and feelings that affect behavior and mental illness. Since clinical psychologists are more likely to work with patients who have more serious illnesses, they may work in mental health facilities and hospitals. Counselors may work in residential treatment centers if they specialize in substance abuse, but overall, they are more likely to work with their clients on an outpatient basis. Counselors might also be employed in schools and universities or employment assistance programs. Both might have their own consultancy or private practice. Both professions are excellent choices for people who are interested in human psychology and in helping others. A background in psychology or social work is helpful but not necessarily required to move into either field. According to the U.S. Bureau of Labor Statistics, faster growth is predicted in the field of counseling than clinical psychology although both are expected to grow at above-average rates. Ultimately, a choice between becoming a counselor or clinical psychologist may rest on the type of patients and treatment approaches that most interest the person.